Marc Davis was a Disney animator and artist extraordinaire. 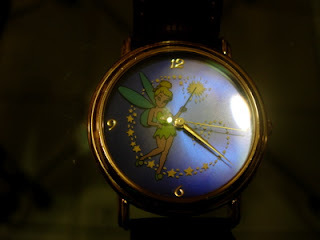 This watch depicts Tinkerbell from Walt Disney's classic, "Peter Pan". 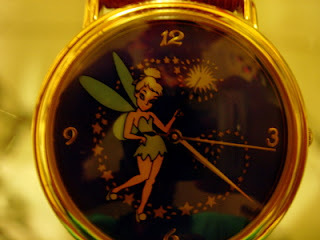 Tinkerbell was designed and animated by Marc for the film. This watch was part of a limited edition of 5,000. It is numbered, number 2659. On the back it says, "Commemorating 60 years of outstanding contributions to the magical world of Disney".